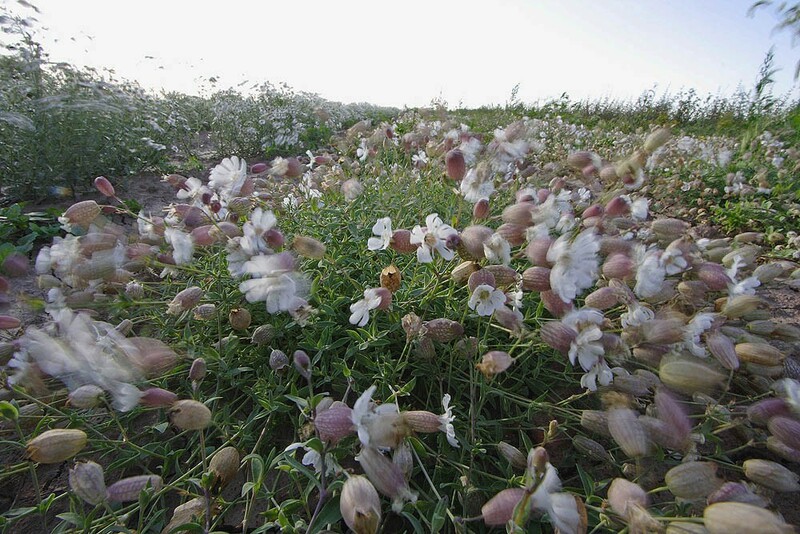 Sea campion can be considered the coastal equivalent of Bladder campion with its white flowers joined at their base to form a tube and surrounded by a bladder-like calyx. 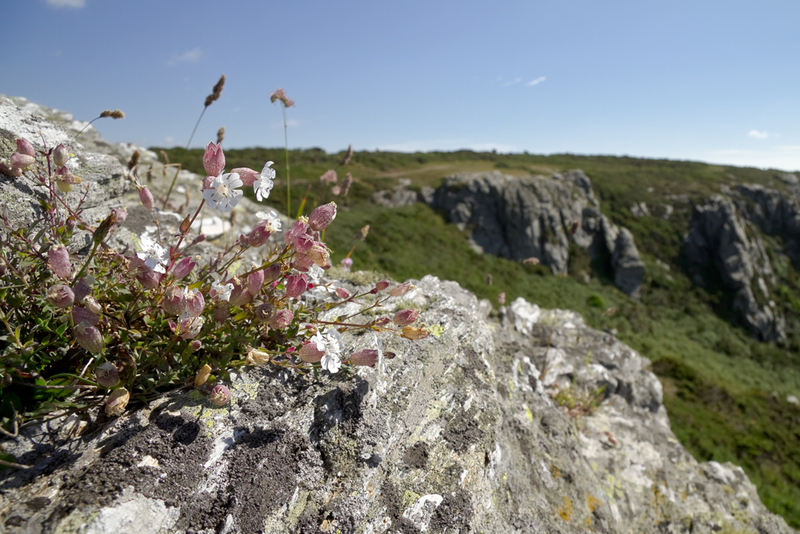 Indeed in some older books it is listed as a subspecies of Bladder campion (S. vulgaris ssp. maritima). However it differs in habit with its non-flowering shoots forming low cushions or mats with leaves that are waxy and sea green. There is usually only one flower per shoot and the petals are broader and less deeply notched. Flowers from May to July. NB previously known as Silene maritima. Sea campion is a native perennial of our coasts found on various habitats including sea-cliffs, shingles, sand dunes and strand lines. 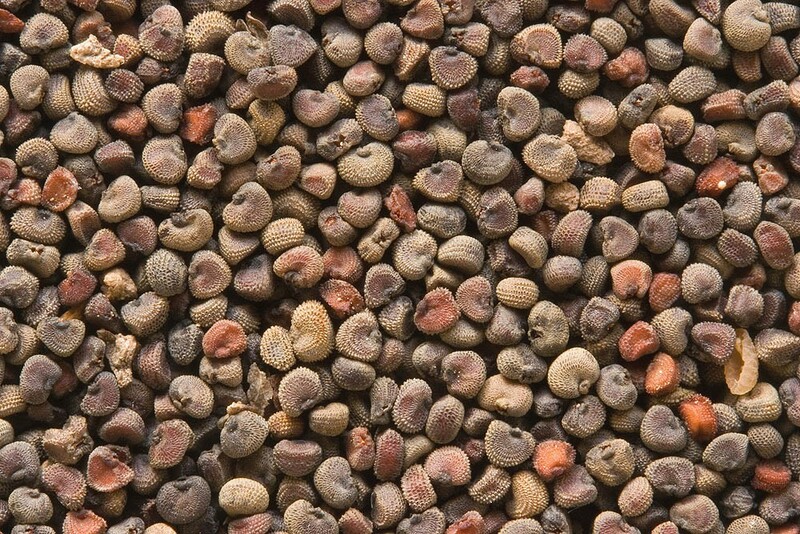 It can tolerate high nutrient levels (i.e. guano) and is particularly abundant on off-shore rocky islands and inaccessible cliff tops where large seabird colonies occur. It can occasionally turn up inland in both natural habitats such as gravelly riversides and lake shores and manmade habitats including mine spoil, ballast and disused railway lines. 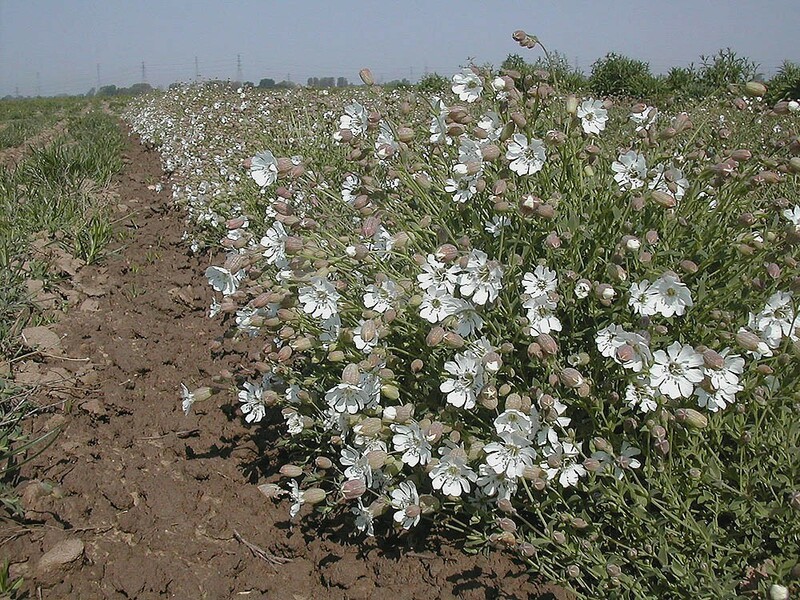 Sea campion is strongly reliant upon seed for regeneration and it requires plenty of open ground either through disturbance or environmental constraints if it is to persist. Easily grown from seed sown at any time of the year. Does best in a sunny, free draining site.